Finch, Michelle. Phoenix Goes to School. Jessica Kingsley Publishers, 2018. Phoenix is going to school for the first time, and she is wearing a dress. She is nervous about the way her classmates will react to her since she is transgender, but she need not have worried. She has support from her family, her teacher, and her new friends. This is a cute book to introduce young children to the concept of gender diversity. 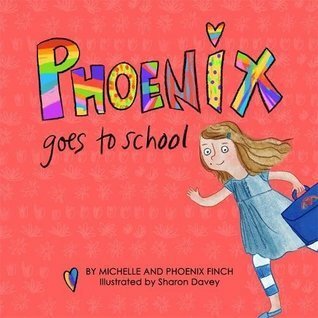 Co-written by a transgender child and her parent, this book is appropriate for its age level, although the story tends to go a big longer than many children would have patience for. Colorful illustrations grace every page. This would be a good book to use in a classroom situation along side I Am Jazz or Red: A Crayon's Story. Recommended.